Ever felt yourself wondering why you have to be the bigger person? Do you feel personally responsible to fix everything that goes wrong in your sphere? There are moments when this becomes overwhelming and we'd rather take off our cape and see if any other superheroes have clocked in. I'm learning that it's through those circumstances that God reveals to us the depths of our strength. There are times when God presents problems in our lives that force us to find answers. But who wants to be the one constantly fixing problems? I was reading John 15 before bed and read a verse that challenged me: “Abide in Me, and I in you. As the branch cannot bear fruit of itself, unless it abides in the vine, neither can you, unless you abide in Me.” John‬ ‭15:4‬ ‭NKJV‬‬. Not gonna lie, my initial thoughts were, "ain't nobody got time for that!" What does it mean to abide in Christ? For me, abiding in Him is how I chose to see and function in my sometimes crazy world. It's a place of peace, patience, joy, kindness, forgiveness, compassion, and love. But guess what? I like to be petty. It's one of my favorite things to do. Sometimes I'm tempted to treat people the way they treat me. I don't always want to lead in reconciliation or be the bigger person. There are times when I want to let people figure it out for themselves while I sit back and watch. Then I read scriptures like those in John 15 and I'm reminded that the world doesn't become better when I have an attitude. The world does not become better when I choose to allow other people to suffer when giving them just a piece of my time or small push of motivation could alter their destiny. More and more I'm beginning to pack my boxes from petty boulevard so that I can begin to dwell in Christ. I still may keep a summer home on the boulevard, but for the most part I want to strive each day to see this world (and the people in it) the way Christ does. I know in Him is knowledge that will show me how to be generous without being taken advantage of, wise without being critical, and sensitive on what jobs are for me versus those only He can handle. Purify my heart. Help me to live in a place of humility that doesn't exalt myself over those around me. Do not allow the overcoming of my pain to make me critical of other people's journey. Continue to make me sensitive to the hurting people who dwell in this world by establishing my heart and mind in the palm of Your hands. 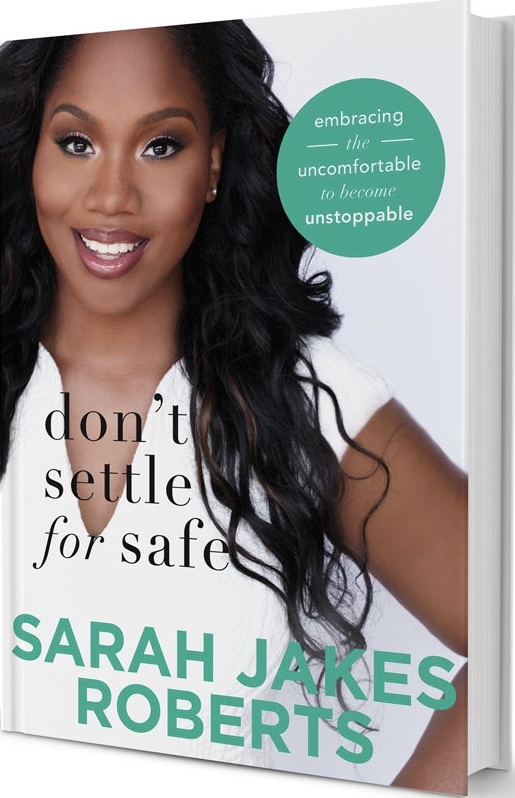 Join me on the getting uncomfortable to become unstoppable journey by clicking here to preorder Don't Settle for Safe and downloading the first three chapters of my new book instantly. I took you with me everywhere I went. I needed the memory of you with me so that I wouldn’t forget what to avoid the next time. I wasn’t hanging on to you because it felt good I needed to be cautious. I wanted to avoid meeting anyone like you ever again. If I carried you in my heart I would never forget how I ended up here. I hated who you made me become. More weak than I could ever imagine, more wounded than I knew possible. Since those days I’ve had one goal: avoid the pain that made me that person. I carry you with me everywhere I go. A monument in my heart. An inescapable reminder of the dangers that come when you give yourself away. Now, before I hand the world a piece of me I make sure that I’m not giving it to someone like you. Perhaps I miss out on a few good things, but it’s worth it to avoid the bad. I know others like me and they’ve carried someone similar to you in their heart for most of their lives. Like them, I live with you secretly by my side. The fragrance of an agonizing past is in every breath I take. I exhale and breathe my regret on everyone I encounter. I pretend to not notice I’m scaring them away. I call the walls around my heart security. Regardless of what the world thinks I’m not bitter. I’m safe. I met a teacher once. He changed the way I viewed the numbers on a page. The hardest arithmetic was made plain. I tried to read ahead in class, but I always got confused. The next day the teacher took the words that confused me the day before and it all became clear. The semester was over though and the class had to come to an end. I wanted to take my teacher with me. If each time I advanced to the next level he was there, I never had to be confused again. My teacher gave me two options: take the lesson and move on or keep the teacher and never learn again. I carry you with me so I never have to taste the saltiness of those tears again. I never realized that I wasn’t really taking you anywhere, I was letting you hold me back. The walls I built to keep the pain away kept me from producing purpose. If I ever wanted to become better I would have to risk becoming bitter. I’d have to be willing to meet a new teacher and receive a new lesson. The lesson may come through struggle, but after the struggle comes strength. Every person in your life carries with them a lesson that will teach you more about yourself. Your resiliency will be tested, but don’t let it make you rigid. Those who want to grow understand the necessity and discomfort that comes with being stretched. Each disaster that threatened to rip you apart, but didn’t succeed stretched you. If you’re focused on the strain the pain brought know that you’re ignoring the lesson that came with it too. You stretched my love. Thank you. Now I have more to give than before. You stretched my strength. I’m grateful. Today I’m stronger than before. You stretched my will now I’m more determined than I was. You stretched me, but you didn’t tear me. I’m better because of this aching. It felt like you were trying to break me, but you showed me that I’m capable of enduring. I want to take you with me. I want to carry you with me everywhere I go, but I can’t take you and grow. I’ll take my lessons and undeniable growth and head to the next level. I’m leaving you, my teacher, because I want to develop more than I want to remain safe. And if I have to taste the salt of tears again, I’ll cry knowing that when the stream slows and finishes its dance from my eyes and down my cheeks, I survived once, and with God’s grace I’ll survive again. Can I be honest? I think I’m addicted to my cell phone. I blame you. Yes, you! I started this blog during one of the most painful times in my life. My friend, Tiffani (girl can you believe this? ), suggested I start this blog as an outlet to vent. I wrote through tears as I took my pain and put it into words. In my bed, propped up by pillows, I let my pain step into your shoes. At the time I was too afraid to tell my full story. I was afraid of exposing my wounds before they had fully healed. I had to get the pain out though. I was suffocating and I needed to breathe. I posted the blogs because I wanted to know if anyone else ever felt the same way. I needed to know I wasn’t alone. One by one my words were echoed in the hearts of people I’d never met. They understood what it was like to have regret, shame, and fear constantly whispering into your future. I wasn’t looking for a book deal. I was looking for a reflection of myself in your heart. The comments, the love, the tweets, the strength, the likes, and the courage all poured in. I looked at my phone constantly overwhelmed by the pieces of me floating in the world. I ended each blog with the words I needed to hear and the prayers I whispered in His ear. The strangest thing happened with each post. I started to believe that I had it all wrong. For many years I strived to achieve my idea of normal, but the more successful I was at getting it the lonelier I felt. I didn’t want to admit that I had everything I wanted and three times as many things that were breaking me down. I was holding on to my will so tight that I forgot to hold on to God. There was one time when I could feel His presence the most and that was on this site. I poured my heart and hopes into this blog and then I challenged myself. I wanted to prove that we could become better even though we had enough pain to stay bitter. Your life stitched the aching of my broken heart and dared me to be whole. So it’s your fault I’m addicted to my phone (I kid, I kid. ), but I read every comment on every page and every post because I love knowing that we’re growing together. I find myself carrying my phone around constantly. So I’m implementing time limits and creating accountability partners to help me through this. The hard part is how handy our phones have become. My grocery list, photo albums, schedule, account information, emails, music, the list goes on and on are all in that device. I pick up the phone for one thing and end up doing a thousand others. You cannot allow anything to have excessive access to your life without denying access to something else. Therefore I’m also challenging myself to only pick up my phone to complete the task at hand and then put it down. I’m always asking the people in my life, “What did you say?” I don’t want to look up one day and realize that everyone stopped talking because they didn’t think I was listening anyway. Before I pick up the phone I remind myself that though my phone has many functions I am only picking it up at that time for one purpose. What if we dared to live our lives in the same way? God, please show us the functions you’ve placed inside of us and give us the wisdom to not abuse that knowledge. Just because we can do it doesn’t mean we should. I don’t want to be so overwhelmed with the options that I miss out on fulfilling my ultimate purpose. We place more weight on ourselves than God requires of us and then demand in prayer that He helps us balance it. Or worse, we let the response of people become more important than our purpose. We have to reply to the text message immediately or someone’s feelings will be hurt. The office can’t wait for the email. Before you know it you’re checking out at Target and you forgot to check the account. Wasn’t that why you broke out the phone in the first place? Just because it serves a purpose doesn’t mean it time for you to dine. There is a time and place for everything. Steve Jobs was a genius, but imagine all the different functions God placed inside of you. It’s confusing, huh? You could do this or you could do that. Oh, and don’t forget about that other thing. You wear many hats, but you only have one head. Be careful that you aren’t tapped into so many things that you forget what’s most important. Don’t let your purpose get lost in the shuffle. I need a nudge of direction. Please help remind me of Your purpose for my life. I see so many opportunities for growth in front of me. I don’t want to do something that helps someone else, but fails at maximizing the purpose You have for me. I have the faith to stand by Your word, but life gets confusing when we see good down every avenue. Everyone talks about having faith to fight the bad things in our life. Give me the audacity to turn away from good opportunities that aren’t ultimately going to better me for You. Sometimes I get so tired of being so strong. Every now and then I want to let the pain wash over me and set me free. I want to let the tears drown my insecurities. Feel the sting of my wounds. Every now and then I need to feel everything all at once. I need to feel the sunshine and taste the rain. I need to remember that it’s okay to not be okay. I just want to be weak. For one moment I want to let it all go in your presence and feel everything I held behind this smile. In front of Your thrown at the feet of your grace I want to expose the pain. Take the love that burned my soul and the lies that stained my heart. I want to remove the filter of lies that turns possible truths into fearful lies. I want to remember what it’s like to take a person for their word. I want to feel okay to be vulnerable. We’re told to believe that there is one signifying breaking point. The truth is that it takes way more than one straw to break the camels back. Little by little we adjust to the pressure of being strong. We strain, we tear, we stretch, but we refuse to break. We refuse to blink and let the tears pour out our fear. The disease we bear it. The death we can handle it. The debt? No problem. The eviction notice won’t unsettle us. We take each of life’s blows on the chin. How is it if He doesn’t give us more than we can bear that we feel so tired? But didn’t we take on more than He ever asked of us? When will we learn to let go of the things we cannot control and trust Him to just be Him. We’ve got it all. All the things we want and so few of the things we need. When was the last time you decided to stay true to you instead of them? Don’t let pride rob you of the beauty in the ebbs and flows of life. It’s okay to not be okay. Full submission to Him doesn’t require that you have strong will. It does, however, require full trust in His.